Rainbow Magic in a glorious ocean paradise. Enchantment and fun at a dolphin school where magic sparkles like pearls. Dolphin School is a special place where little dolphins learn about life. Friendship. Magic. Helping others. Every day brings a new lesson! 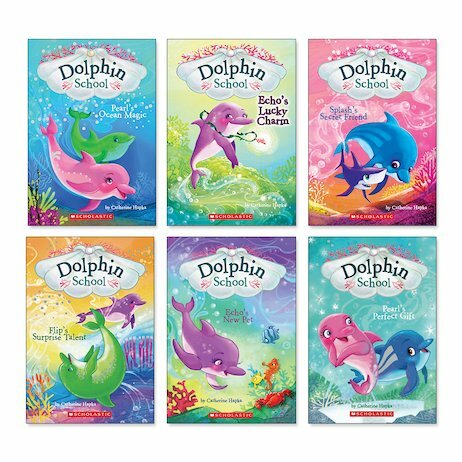 Follow these dolphin friends as they each face their own struggles and adventures. Can they be brave and rise to life’s challenges as they dance amid the waves?